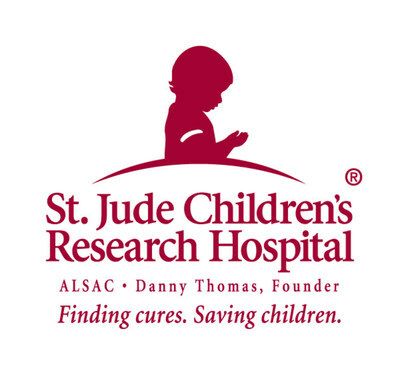 CHICAGO, Jan. 24, 2019 /PRNewswire/ -- Red Frog Events has now raised more than $15.5 million of its $25 million commitment for St. Jude Children's Research Hospital since the program began in 2010. "We're proud of our strong partnership with St. Jude and for raising over $15.5 million dollars for the children's hospital," said Joe Reynolds, CEO of Red Frog Events, the producers of Warrior Dash. "We are inspired by the lifesaving work of St. Jude. It's an honor to play a role in ushering in a new generation of St. Jude supporters." Red Frog Events has now raised more than $15.5 million of its $25 million commitment for St. Jude Children’s Research Hospital since the program began in 2010. Warrior Dash, the obstacle course race that more than 3 million people have completed since 2009, is one of the leading fundraising platforms for Red Frog Events' St. Jude commitment. By signing up as a St. Jude Hero® fundraiser, participants can fundraise and receive a variety of perks based on the total raised, including: access to the St. Jude VIP tent with private showers, complimentary gear check, food, non-alcoholic beverages, a race registration refund, duffle bag and picnic blanket. All donations go toward the lifesaving work being done at the St. Jude Red Frog Events Proton Therapy Center. "We are so grateful to our friends at Red Frog Events for their tremendous support of our lifesaving mission," said Richard Shadyac Jr., CEO of ALSAC, the fundraising and awareness organization for St. Jude Children's Research Hospital. "Funds raised through our partners and events like Warrior Dash mean we are one step closer to reaching a day when no family has to hear the words 'your child has cancer.'" Warrior Dash will kick off its 10th anniversary season February 2019, making over 20 stops nationwide. To learn more, or to register, visit WarriorDash.com. About Red Frog Events: Red Frog Events is an event production company and a pioneer of the experiential entertainment industry, recognized for its award-winning company culture. Since 2007, the company has developed innovative brands including the Warrior Dash obstacle race series, Firefly Music Festival, and Chicago Beer Classic. Red Frog also provides event services ranging from food and beverage to its ticketing platform, EventSprout. Red Frog has been named one of Forbes' "Most Promising Companies in America," has appeared consecutively on Inc. Magazine's "Fastest Growing Companies" list, and was recognized on Chicago Tribune's "Top Workplaces" from 2011-2014, among other honors. In recognition of its philanthropic efforts, the company was selected as St. Jude Children's Research Hospital's 2013 "Corporate Partner of the Year." To date, Red Frog has raised over $15.5 million of a $25 million dollar fundraising commitment to St. Jude and in 2016, announced a one percent profit donation to the organization. Visit RedFrogEvents.com for more information. About Warrior Dash: Warrior Dash is the multi-distance obstacle course race that anyone can start and everyone can finish. Since 2009, over 3 million participants have celebrated their decision to leave their normal weekend in the mud - and the running industry hasn't been the same since. Warrior Dash and its parent company, Red Frog Events, with the help of participants and a variety of initiatives, have donated over $15.5 million for St. Jude Children's Research Hospital. Visit WarriorDash.com to learn more or find a location near you.